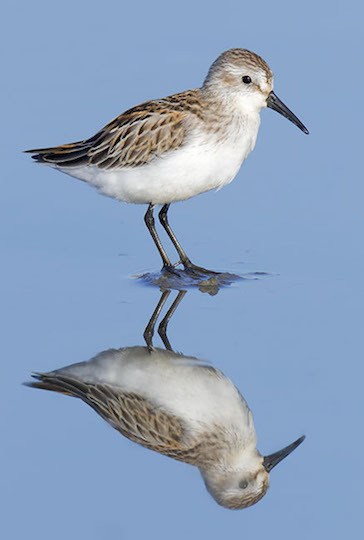 Like most 'peeps,' western sandpipers alternate between a fairly drab winter plumage and a brighter breeding plumage. 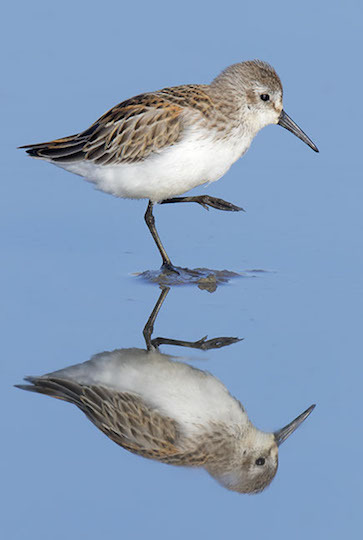 These birds are in various stages of molt from breeding into winter plumage. 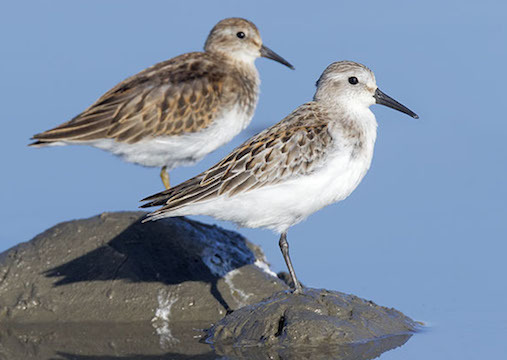 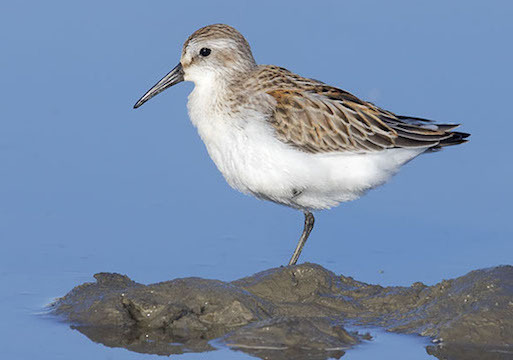 They were photographed -- some with least sandpipers -- in September at the San Jacinto Wildlife Area in southern California. 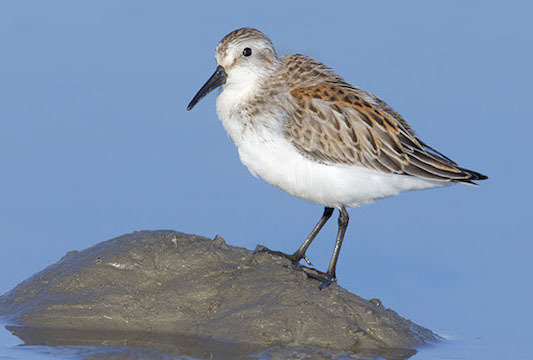 Other images of western sandpipers are on this page and here; pictures of roosting flocks are here, juvenile birds are here.